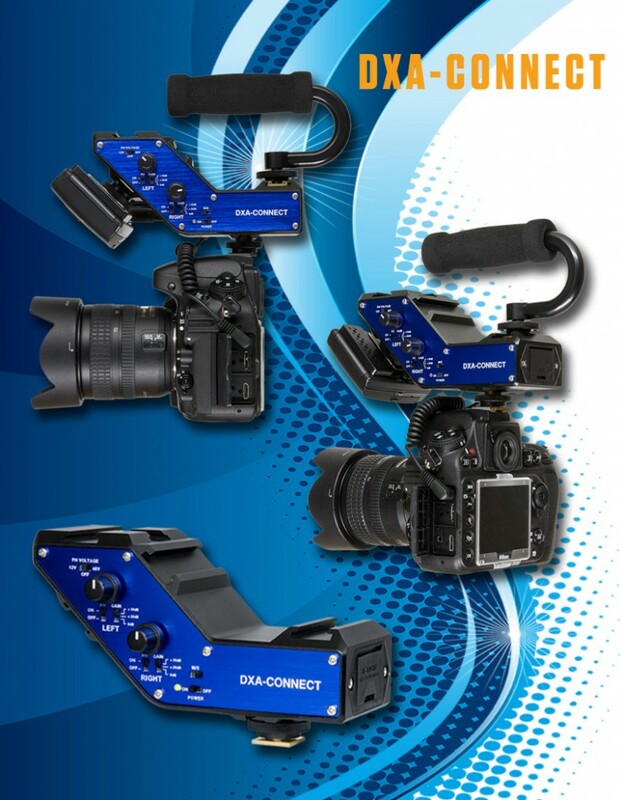 Kelowna, BC CANADA – Oct 22nd, 2013 – Beachtek announces the new DXA-CONNECT XLR adapter / bracket for DSLR cameras and camcorders. The output lets you to record to either a DSLR camera or camcorder, or for exceptionally high quality audio directly to a portable field recorder such as the Atomos Ninja-2. Multiple mounting configurations provide plenty of versatility. A top handle can also be added to provide a convenient grip for your camera. This product is expected to be released by Dec 1st, 2013 to leading audio and video dealers worldwide. The suggested list price of the DXA-CONNECT is $299.00 in the United States. Operates on one 9 volt batteryBeachtek is the original and most popular producer of XLR adapters for DV camcorders and DSLR cameras. The company specializes in unique audio accessories for the demanding videographer.Beachtek is located in Kelowna, British Columbia, Canada. Visit their web site at www.beachtek.com or call (778) 478- 9872.